Blue Dream is a group of musicians with a diverse range of styles and improvisational skills that brings to life the musical compositions of Fiona Joy Hawkins. The group has an eclectic and musically diverse range of experience that includes World music, jazz rhythms and classical influences. Blue Dream spans genres, styles and has no pigeon hole. There is NO sounds like..
Fiona has four award winning albums Portrait of a Waterfall, Angel Above My Piano, ICE Piano Slightly Chilled and Blue Dream. She has charted at #1 on the New Age Reporter International Radio Charts achieving the highest ranking in the history of the charts, been an ARIA Finalist, won the ZMR Album of the Year, Best Piano Album (twice) and Best Contemporary Instrumental Album, Best Dance/Dub/Club Album as well as winning the Music OZ Award for Best Classical/Jazz Artist in 2008. She has had over 37 nominations in Indie Artist Awards across 9 countries. Fionas recent album Blue Dream was produced by Grammy winner Will Ackerman (Founder of Windham Hill) and has been released on the ABC label. 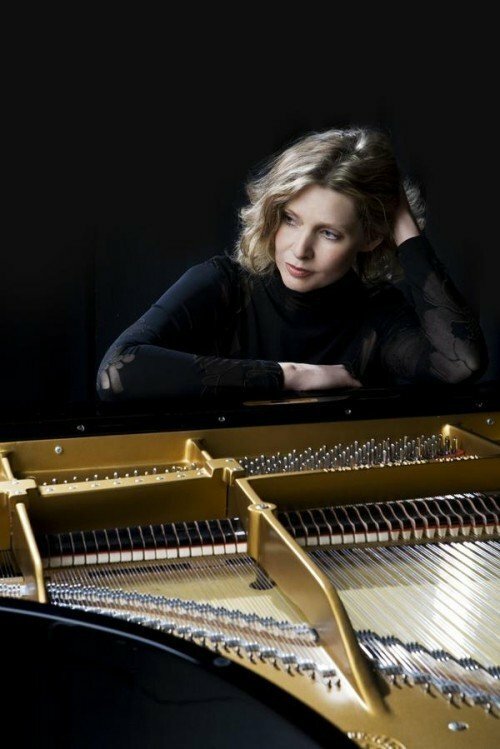 She is the first Independent Australian artist to release a 5.1 multichannel super audio CD and will be recording a new CD for early 2011 to be recorded on a Stuart and Sons piano in Newcastle. BLUE DREAM began as the most ambitious project of my entire career and resulted in one of the most remarkable collaborations this genre has ever known. Blue Dream is unique and Im as proud of it as anything Ive ever worked on in my 35 year career of Grammy Awards and gold/ platinum records. Will Ackerman has performed at The Imperial Palace in Tokyo, The Kremlin, The Montreux Jazz Festival, Carnegie Hall, The Hollywood Bowl, Red Rocks, Ravinia and Wolf Trap. Will is the founder of Windham Hill Records, the producer of artists George Winston, Michael Hedges, Liz Story and Alex de Grassi and has received numerous Platinum and Gold Record awards. He has been profiled in the New York Times, The Los Angeles Times, The International Herald Tribune, Newsweek, Esquire, Rolling Stone and People Magazine. Wills latest recording, RETURNING, won a Grammy Award in 2005. While at the Royal Academy of Music in London, Rebecca Daniel studied with Emanuel Hurwitz and the Amadeus String Quartet; and performed chamber music throughout the UK. 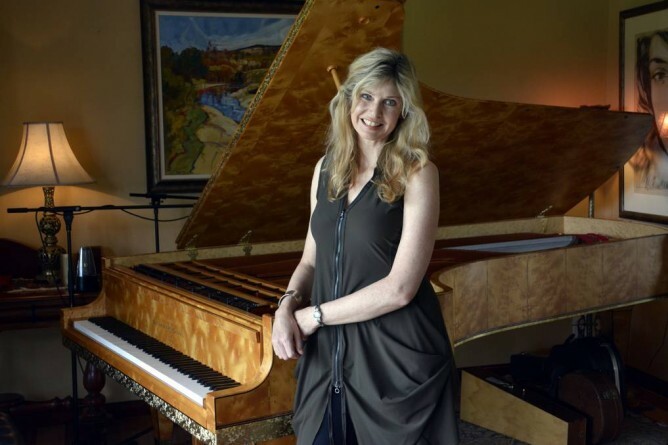 After being invited to join the Australian Chamber Orchestra, she discovered the joys of Musical Theatre and was the orchestra leader for Les Miserables, Phantom of the Opera, Beauty & the Beast and The Sound of Music; she played in West Side Story and A Little Night Music. Andy Busuttil is a renowned Australian transcultural musician. He has performed at major festivals and with many musicians from a wide range of genres. One of his most recent passions is in exploring the place of his origin, the Islands of the Maltese Archipelago. Andy uses this influence along with his improvisational skills on voice, clarinet, saxillo (hybrid clarinet/Hungarian Tarratato) and percussion with Blue Dream and the influences from street vendors and ghanejja Bormliza of Malta, to the sinuous wind players of the Balkans, the Middle East and Asia Minor and the percussionists of the Middle East, Greece, Macedonia and Turkey have found a new and welcome home in Fionas compositions. In a playing career which has spanned nearly 50 years, Dave has been a member of the Western Australian and Sydney Symphony Orchestras, the Australian Elizabethan Theatre Trust Sydney Orchestra, the Australian Chamber Orchestra, various freelance Orchestras, Jazz, Rock, Country Music, Cabaret, Experimental groups and now, the contemporary Flamenco group, Arrebato Ensemble. He has played the Sydney and some national seasons of many Music Theatre and Stage productions, and has also played for hundreds of Record Albums/CDs, Film Scores Television shows and Jingles/Commercials. Dave has performed in Concert and Cabaret with artists including Peggy Lee, George Benson, Antony and the Johnsons, Eartha Kitt, Al Jareau, Milt Jackson, Phil Woods, Sir George Martin, Tim Draxl, Julie Anthony, Val Doonican, David Campbell and has been Bassist for Maestro Tommy Tycho for more than 35 years, and now with Fiona Joy Hawkins in Blue Dream. Dinner & Show tickets include entry, seating and a 2 course meal (entree & main, 4 choices for each). Dinner & Show tickets are only available by phone. Bistro: Open til late for the best light meals, late night suppers and coffees in town. PLEASE NOTE DOORS OPEN AT 7.30PM, MUSIC STARTS AROUND 9.30PM UNLESS OTHERWISE STATED UNDER THE DATE ABOVE.